We are Fort Wayne's Certified Chimney Sweep and Certified Dryer Exhaust Technician. 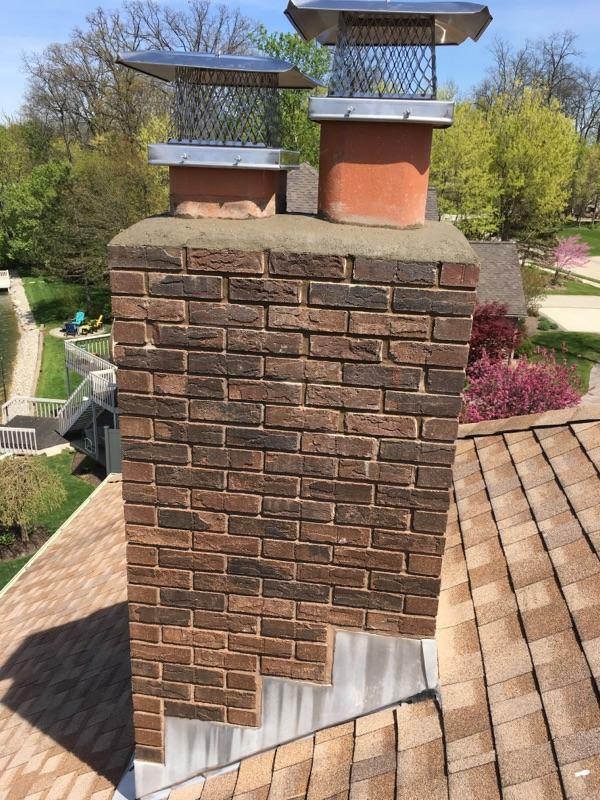 Spring is here and it is time for chimney repairs. We provide expert brick repair, waterproofing, custom stainless steel chimney covers, etc. Call us today for an estimate. 260-637-7922. Chimneys are an integral part of your home heating and therefore, require regular evaluation and maintenance. Damage and problems are rarely visible to the casual observer, so let us help you create a nice, safe and warm heating system for you and your family. We specialize in services such as wood stove and fireplace insert sales and installation, chimney liners, custom stainless steel chase covers, expert brick repair, chimney and dryer vent cleaning and repair, and much more. Our work is done by the employees not subcontractors so you know you are getting the best service. Plus, we are fully insured and are certified through the Chimney Safety Institute Of America ("CSIA"), Members of the National Chimney Sweep Guild ("NCSG") and we have a "A+" rating with the Better Business Bureau ("BBB") and Angie's List. We are here to help you with all of your venting needs. Call us today, 260-637-7922, to make an appointment.